ARE YOU WILLING TO DO WHATEVER IT TAKES TO DO WHAT’S RIGHT? EVERY ONE OF US IS CHALLENGED TO DO THE RIGHT THING FOR OUR CLIENTS AND FOR EACH OTHER. "Doing what’s right" strikes to the heart our team. We work in a challenging industry and to be the recognized leader we must count on every team member to step up and do the right thing — not the easy thing, or the simple thing, but the right thing each and every time. It means that we’re willing to commit. Commit to putting our client’s interest above our own. Commit to exceptional quality. And commit to meeting timelines. As a team, we’re upfront and authentic, pragmatic and truthful, and with a diverse collection of experiences — we’re willing to challenge traditional schools of thought. And lastly, as designers, engineers, skilled craftsman and tradespeople, we’re fearlessly emboldened to speak up, raise potential issues, and help clients get in front of things before they become real challenges. There’s no project too large to keep us from tackling it, and there’s no budget too small that will deter us from providing our clients with the very best work. Creating exceptional retail spaces goes well beyond a single person. It takes the collective efforts of our entire team to conceptualize, design, and build amazing things. Looking for a place that values your experience and rewards you for your performance? At Canada’s Best Store Fixtures, we are one of Canada’s largest retail environment design-builders. 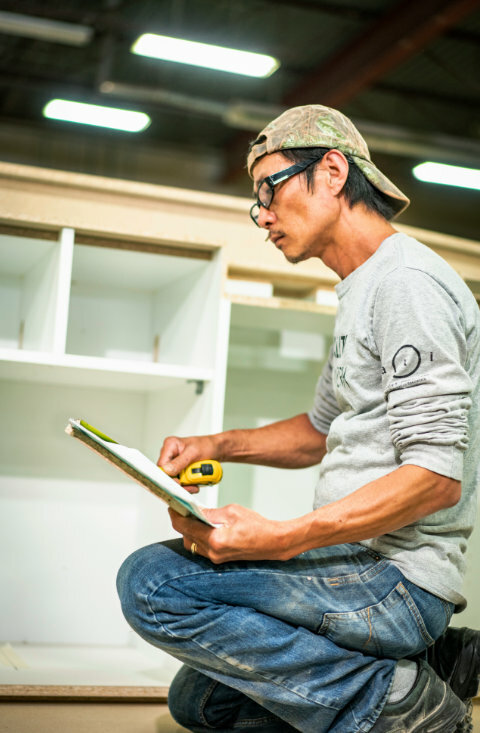 Our career opportunities include design, engineering, metal and millwork fabricators, installers, and project managers. All employees enjoy a competitive salary and an incredible opportunity for development with experienced trainers and veteran staff who are always eager to lend their full support to new employees. Our growth is your opportunity to join a great company! 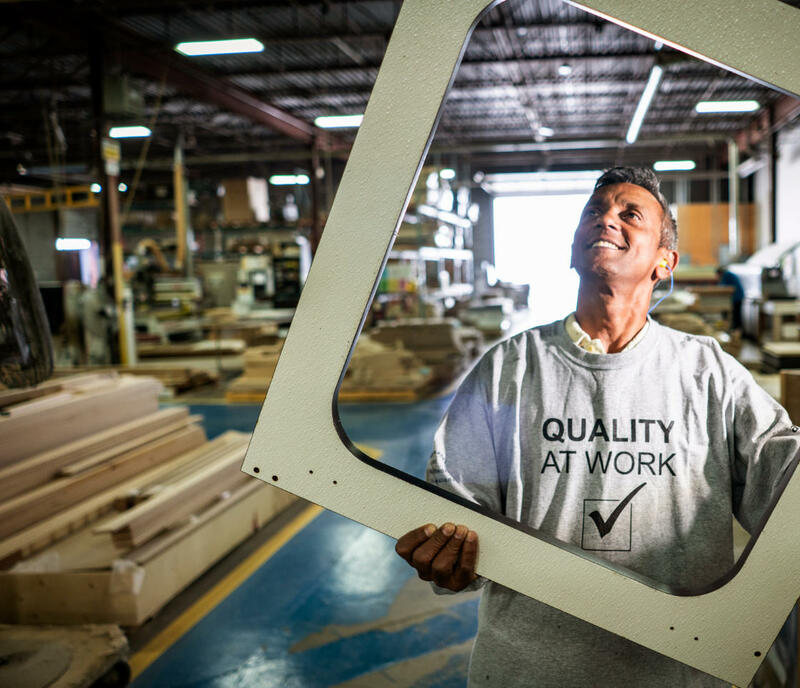 Throughout our offices, wood, plastic and metal production facilities, warehouse and field execution teams we have challenging and interesting work in a variety of roles. We are always interested in meeting talented people with industry experience who would like to join a winning team. Email your resume to careers@canadasbeststorefixtures.com and we will review your experience in relation to our current openings! We hope to find a great Welder with at least 3 years experience to join our team. You will be skilled in the use of various measuring devices (calipers, protractors, tape measure) as well as reading drawings to accurately create quality welds on a variety of items. Quality is of paramount importance to us. You must have high standards of work and can keep up in a fast-paced environment. You inspect your work and despite the never-ending pressure of tight deadlines, know when you should fix or do a piece over in order to delight our customers with quality workmanship. You work well independently and with others in a team setting. You understand the safety risks in a metal manufacturing operation and are focussed on safety first. This position is responsible for complete product, program and/or project specifics for given customers within the company. These responsibilities will be varied and will include; product and site-specific requirement planning, analysis and interpretation of architectural drawing, shop drawings, product and material specifications, preparation of cost summaries and proposals, program forecasting and product requirement planning, MRP/ERP informational processing, schedule development, implementation, maintenance and communication. Strong understanding of metal, wood and acrylic materials and manufacturing processes. Ability to produce specific take-offs from customer-supplied drawings. MRP/ERP system understanding to allow for timely process effectiveness. Awareness of internal needs to ensure schedules, quality, production and purchasing are on time and expedite when necessary. Outstanding communication skills with all customers. Ability to effectively communicate, provide clear direction and continuously monitor specific customer quality assurance requirements with the production staff. Take leadership role in assignments, is able to work independently with little supervision. Customer management skills for project planning, resolving issues, building and maintaining relationships. Experience with vendor procurement processes. Understanding of product rollouts, site specific requirement planning and accurate inventory control. Ability to determine needs and methods to allow for prototype, RFQ and design development requirements. WHETHER YOU’RE LOOKING FOR CONTRACT OR FULL-TIME WORK, OR EVEN A POSITION OUTSIDE OF THOSE LISTED ON OUR SITE, WE WANT TO HEAR FROM YOU. Submit your resume and a brief description of your employment profile by sending an email to careers@canadasbeststorefixtures.com or by faxing it to 905-264-7594. WHETHER YOU’RE LOOKING FOR PART-TIME OR FULL-TIME WORK, OR EVEN A POSITION OUTSIDE OF THOSE LISTED ON OUR SITE, WE WANT TO HEAR FROM YOU.